Clamoring for more power from the Toyota 86 sports car is falling on deaf ears in Japan. For 2019, the automaker is keeping horsepower and torque unchanged and is instead offering a limited-run TRD Special Edition trim. 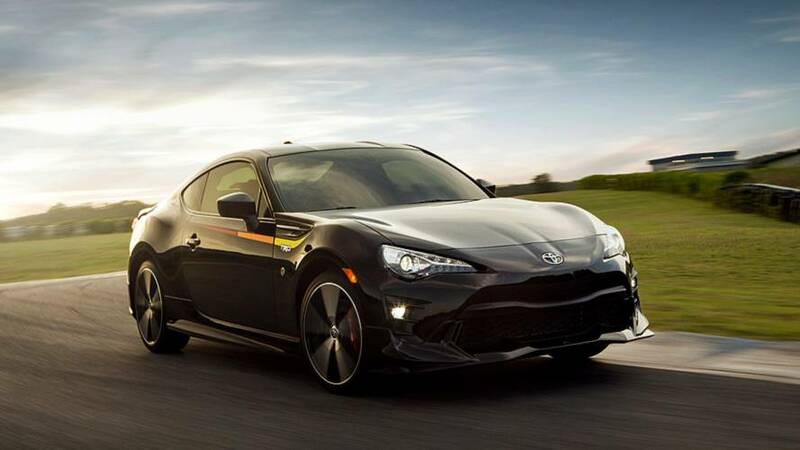 Limited to 1,418 units, the 2019 Toyota 86 TRD Special Edition receives several upgrades that have nothing to do with power. 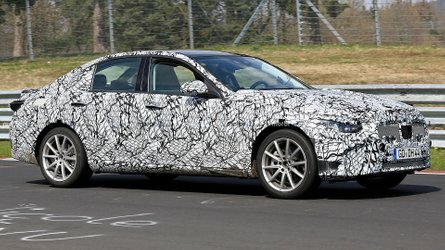 Instead, the different performance parts improve the coupe's handling. SACHS dampers improve steering response while four-piston front and two-piston rear Brembo brakes provide enhanced stopping power. Michelin Pilot Sport 4 summer tires wrap around 18-inch alloy wheels. The TRD Special Edition comes in one color – Raven black. A retro 80s-style tri-color graphic swoops from the front fender down the side to above the door handle. It looks like something off the side of an Atari gaming console. A TRD body kit adds a new front bumper, side sills, rear bumper, spoiler, and diffuser that shows off the TRD stainless steel exhaust tips. Inside, the TRD Special Edition receives a new red and black-trimmed steering wheel with red contrast stitching. The red-and-black theme continues to the sport bucket seats. Granlux, a suede-like material, adorns the top of the instrument cluster, again with red contrast stitching, which is a constant throughout the interior. The “TRD” logo is embroidered on the dashboard. Red seatbelts complete the look. While the TRD Special Edition receives a host of goodies, the same 2.0-liter flat-four engine carries over, delivering 205 horsepower and 156 pound-feet of torque when paired with the manual transmission. Opting for the automatic drops power and torque by five, respectively. The standard 86 comes with LED headlights, color-matching power mirrors, chrome-tipped dual exhaust, and 17-inch alloy wheels as standard. The 86 GT adds LED fog lights, aerodynamic floor undercover, heated mirrors, and a matte-black rear wing with color-matching end plates. The 2019 Toyota 86, 86 GT and 86 TRD Special Edition go on sale next month. Toyota didn't provide any pricing for the 86 or 86 GT, which could see a slight uptick in price. 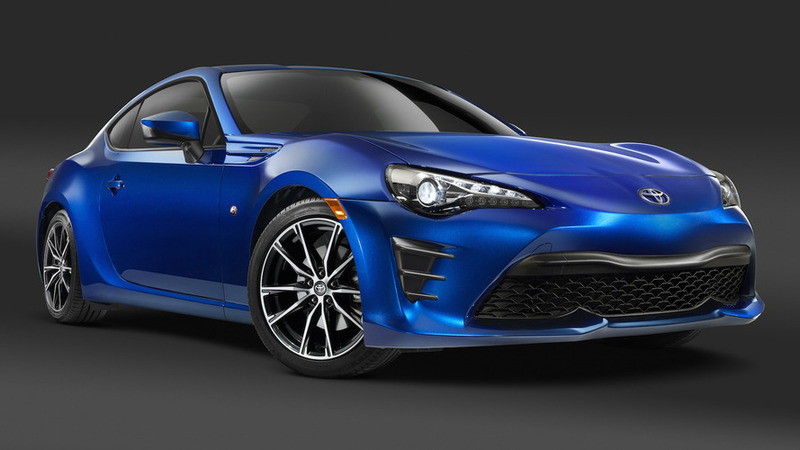 The 86 TRD Special Edition starts at $32,420. If USDA Certified Organic had a sportscar category, the 2019 86 TRD Special Edition would be its benchmark. 86 TRD Special Edition is North America’s highest performance 86 version thanks to some essential new parts: SACHS dampers, 12.8-/12.4-in. front/rear Brembo brakes, and exclusive 18 x 7.5-in. alloy wheels wrapped in Michelin Pilot Sport 4 tires (sized 215/40R18 85Y all around). 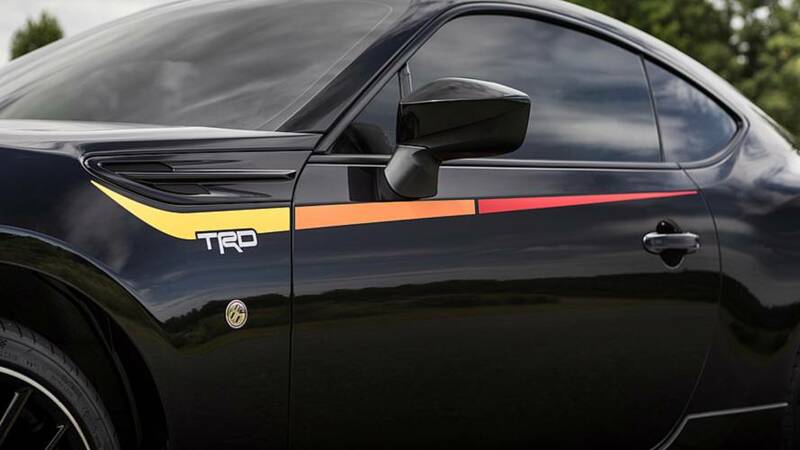 Exclusively painted in Raven, and accented by a classic TRD tricolor graphic and TRD body kit (which includes front bumper, side sills, rear bumper/diffuser, and spoiler), the TRD Special Edition looks athletic too. Also standard: a TRD exhaust with brushed stainless steel tips. 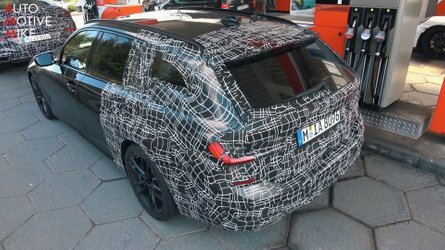 Production will be limited to only 1,418 units. 86 TRD Special Edition will have a Manufacturer’s Suggested Retail Price (MSRP) of $32,420. A proper sportscar possesses a simple packaging profile. 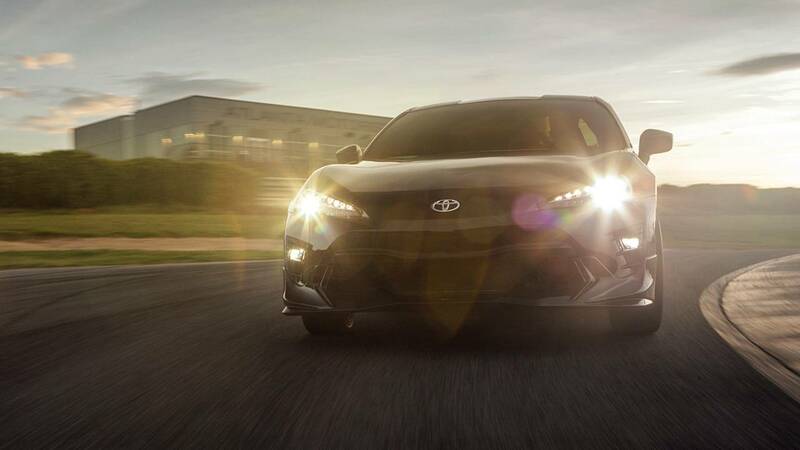 86 offers all the essential standard exterior amenities: LED projector-beam headlights; color-keyed power mirrors; chrome-tipped dual exhaust; front fender-mounted vortex generators; and 17-in. twisted spoke alloy wheels. 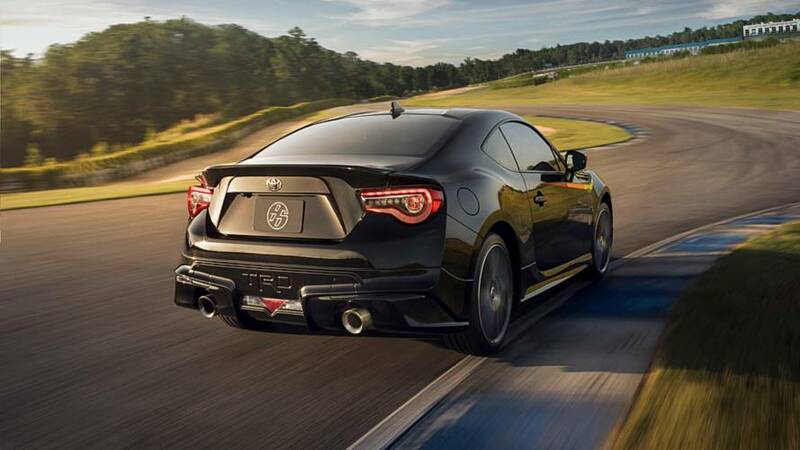 86 GT adds more to the mix: LED fog lamps; an aerodynamic floor undercover; color-matched heated mirrors; and a matte-black rear wing with color-keyed end plates. Inside 86 and 86 GT, passengers are greeted by sport bucket front seats, a steering wheel with integrated audio controls (plus, Multi-Information Display controls in 86 GT). Other amenities include dual-zone automatic climate control (on 86 GT); Granlux suede-like rear armrest cover; anti-theft system; and cruise control. Smart Key System on driver and passenger doors with Push Button Start, remote keyless entry system with lock, two-stage unlock, panic, and trunk release feature is standard on 86 GT and TRD Special Edition. A highlight for performance purists is 86 GT and TRD Special Edition’s 4.2-in. TFT Multi-Information Display (MID) with vehicle data screens, which features essential data like G-force meter and stopwatch, horsepower and torque curves, engine coolant and oil temperatures, and fuel consumption. An added touch: an “86” logo appears on the MID upon vehicle start-up. It’s no mistake that its engine’s “square” dimensions (equal bore and stroke) are 86 mm. For ardent Toyota fans, though, ‘86’ is homage to the AE86, the global name for the Toyota Corolla GT-S that sold in the U.S. in the mid-1980s. It was an affordable, agile, rear-drive sports coupe with a high-revving 1.6-liter engine that earned a reputation for being a blast to drive. In Japan, it was known as “hachi-roku,” meaning 8-6. Today, many enthusiasts build them into drift machines. On the new model, ‘86’ logos have been incorporated into a badge on the front fender, as well as inside the headlamps. 86’s chassis is a specially developed rear-drive sports car platform using a sport-tuned independent MacPherson strut front suspension with strut tower bars and reinforced mounting brackets, plus, a sport-tuned independent multi-link rear suspension with reinforcement bracing. 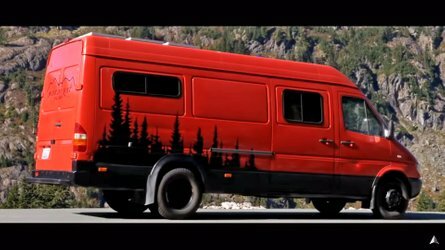 The electric power-assist steering is quick, with just 2.48 turns lock-to-lock, and with a tight 36.1-ft. turning circle. It’s also highly articulate, providing ideal road feel through the small-diameter, leather-wrapped wheel. The 17 x 7-in. alloy wheels wear 215/45R17 summer performance or all-season tires. For track driving and autocross competition, Vehicle Stability Control (VSC) can be put in Track mode or shut off completely. On both manual and automatic 86 models, Hill Start Assist Control (HAC) can help to prevent the car from rolling back on steep hills from a stop. The 2.0-liter horizontally-opposed aluminum Boxer engine delivers 205 hp at 7,000 rpm and 156 lb.-ft. of peak torque at 6,400 rpm (automatic transmission version: 200 hp at 7,000 rpm and 151 lb.-ft. at 6,400 rpm). The 86 mm x 86 mm bore and stroke dimensions make the engine a high revver, yet dual variable valve timing helps give it a broad torque curve. So, the 86 feels highly responsive in everyday driving. Among the engine’s high-performance features used to extract just over 100 horsepower per liter of displacement is the Toyota-innovated D-4S Dual Injection system that combines direct-injection and port-injection technologies. The direct-injection system provides a cooling effect in the cylinders, which allows the engine to use a very high 12.5:1 compression ratio for maximum power. The port fuel injectors, meanwhile, come into play during light- and medium-load conditions to maximize combustion efficiency. Without question, 86 is a thoroughly entertaining, well-balanced machine when the road gets curvy. But it is also an economical commuter when traffic builds, or when a nonchalant cruise is on the menu. The MY19 86 range has an EPA-estimated 24 mpg city and 32 mpg highway when equipped with a six-speed automatic transmission and an estimated 21 mpg city and 28 mpg highway with the six-speed manual. 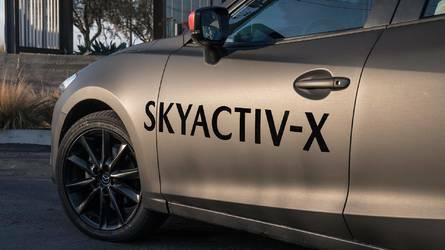 86’s extraordinary low weight benefits fuel economy and agility. At just under 2,800 lbs. (with six-speed manual transmission), 86 is among the lightest sports cars on the market. An ultra-low center of gravity and low 0.29 coefficient of drag (Cd) (0.27 Cd on 86 GT) complete the focus on pure performance and impressive fuel economy. 86’s standard six-speed manual transmission is a purist’s dream. Its short-throw shifter and easy-effort clutch make shifting a joy. For added driver feel and overall durability, the transmission utilizes a triple-cone mesh synchromesh on 1st, 2nd, and 3rd gears, a ball-bearing-mounted shift linkage, and reverse gear lock-out protection. The six-speed Electronically Controlled automatic with intelligence (ECT-i) is a compelling choice too, with super-fast shifts, steering-wheel-mounted paddle shifters, Sport Mode, and Dynamic Rev Management technology, which “blips” the throttle on downshifts. A standard Torsen limited-slip differential helps maximize traction between the rear wheels while cornering. The purist sports car approach carries into the cabin, but with modern comforts that denote 86 as an excellent everyday vehicle. Intuitive controls help drivers keep their focus on driving. A large center-mounted tachometer, the focal point of the easy-to-read gauge panel, integrates a digital speedometer and features a programmable rev indicator. It’s flanked on the left by an analog speedometer, while fuel level and temperature gauges are positioned to the right of the tachometer. On 86 GT, an ‘86’ logo is seen on the Granlux material covering the instrument panel surround. The same material adds a soft feel to the door trim. As 86 is a highly useful 2+2 coupe, its rear one-piece seatback folds to expand trunk space. Toyota 86 comes standard with Display Audio featuring a 7-in. touchscreen display. The eight-speaker Pioneer audio system includes Bluetooth for hands-free phone capability and music streaming, HD Radio, iPod connectivity, and AUX/USB inputs. It’s easy to reference song titles, album names, and artist names right on the head unit. For on-the-go connectivity and on-board navigation, the optional 86 Display Audio with Navigation system features push-to-talk voice navigation and geo-located points of interest. Both audio systems come standard with Aha. Available on iTunes and Google Play, Aha provides access to 100,000 free audio stations. Drivers also can find local restaurants, coffee, hotels, and weather updates through location-based services like Yelp and TripAdvisor, along with popular social media applications, sports, news, and entertainment. A phonebook holds up to 2,500 contacts with four numbers each. 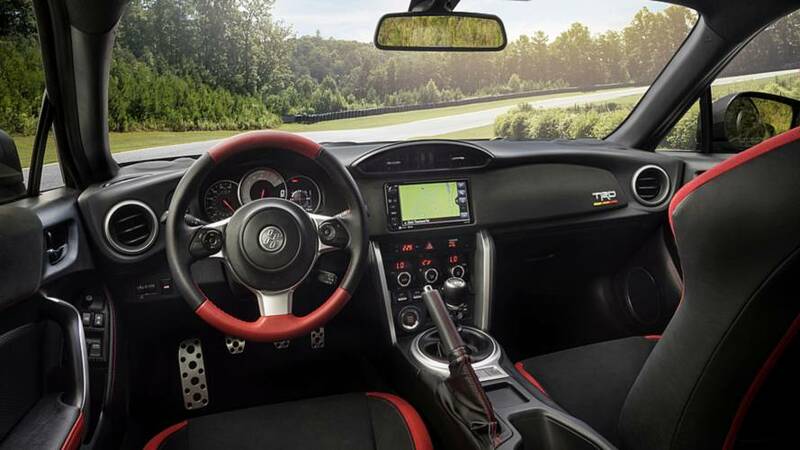 The 2019 Toyota 86 comes standard with the STAR Safety System which features an Anti-lock Brake System (ABS), Electronic Brake Force Distribution (EBD), Traction Control (TRAC), Brake Assist (BA), Vehicle Stability Control (VSC), and Smart Stop Technology (SST). The supplemental restraint system includes driver and front passenger dual-stage advanced airbags, driver and front passenger outboard seat-mounted side airbags, and front and rear side curtain airbags. 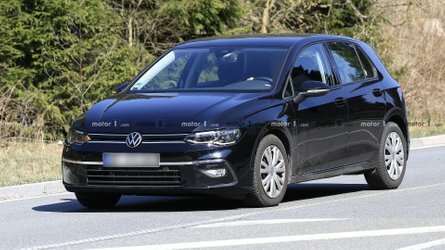 The rear seats can accommodate front-facing child seats with its standard Lower Anchors and Tethers for CHildren (LATCH) system. Toyota’s 36-month/36,000 mile basic new-vehicle warranty applies to all components other than normal wear and maintenance items. Additional 60-month warranties cover the powertrain for 60,000 miles and corrosion with no mileage limitation. See Toyota dealer for details. Standard ToyotaCare is a complimentary plan covering normal factory-scheduled maintenance and 24-hour roadside assistance for two years or 25,000 miles, whichever comes first. See Toyota dealer for details and exclusions. Valid only in the continental U.S. and Alaska.